The underlying premises of this series "short, compatible and express." "Short" means that the texts are short, with clear explanations of grammar points, making the books suitable for short-term Chinese language teaching. "Compatible" indicates the books’ generality. When choosing the topics and making teaching arrangements, the writer removed the time and regional elements, making the books suitable for Chinese language teaching to different mother-tongue speakers in different regions. "Express" means that the books are helpful in improving the Chinese language ability of learners rapidly, and assists them to quickly adapt to the Chinese language environment to meet their daily communication needs. Price is for each set that includes textbook and workbook. Listening/Speaking also includes an audio CD. 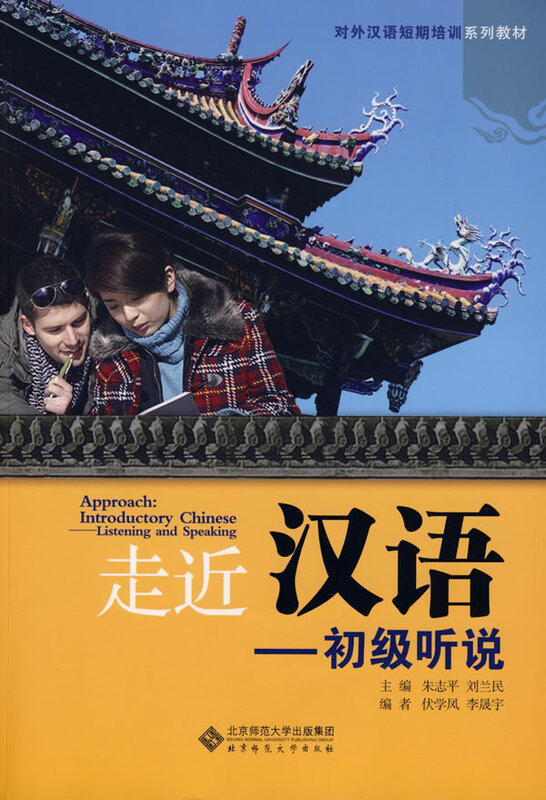 Approach: Introductory Chinese - Listening And Speaking is the main book for the fundamental level. Topics focus on the basic daily activities including greetings, clothing, food, studying, sports, health and so on. The text uses brief dialogues of two to four sentences, followed by new words and exercises, making it easy to learn with practice. Each lesson has three to six dialogues, with general exercises to provide more language practice. The exercises in this book focus on communication.